Some of our current research is described below. Our staff and trainees share space in the Centre for Pediatric Pain Research at the IWK Health Centre. Please visit the photo tour of our lab space to view our facility. Chambers, C.T., Ehm, E., Barwick, M., Bender, J., Campbell-Yeo, M., Collier, G., Goldman, R., Mogil, J., O’Hara, K., Stevens, B., Stinson, J., Taddio, A., & Witteman, H. (March 2015–February 2017). It Doesn’t Have to Hurt: A Science-Media Partnership to Mobilize Evidence about Children’s Pain to Parents. 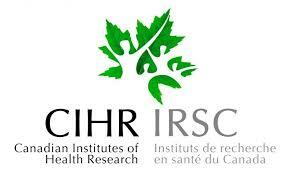 CIHR Operating Grant: Knowledge to Action program, $200,000 ($100,000/year). The grant seeks to increase parent uptake and application of evidence-based knowledge on children’s pain via a science-media partnership between health researchers and an award-winning online publisher targeted primarily to Canadian mothers, the Yummy Mummy Club.ca (YMC). YMC has an online monthly reach of over 5 million people. The research team will develop, implement, and evaluate an integrated social media campaign called “It Doesn’t Have to Hurt”, to raise parents’ awareness about children’s pain. The partnership will capitalize on YMC’s well-established reach and engagement via their website, social media (e.g., Facebook, Twitter), and community network of bloggers, as well as the expertise of the research team. Specific objectives are to: 1) document the reach of the campaign (e.g., number of content views); 2) evaluate the impact of the campaign on parent knowledge and behaviour to prevent and minimize children’s pain via online surveys and interviews; 3) track posts (e.g., number, content) about children’s pain over social media using “social listening” before, during, and after the campaign; and 4) evaluate the effectiveness of the science-media partnership in meeting stakeholder goals and needs. For more information, click here. To view materials related to the “It Doesn’t Have to Hurt” initiative, click here. Chambers, C.T. & Stinson, J. (co-PI) with Fernandez, C., Nathan, P., Irwin, K., & Jibb, L. (August 2015–July 2017). Cancer Pain Assessment and Management in Children: Using Social Media to Bridge the Gap. Canadian Cancer Society, Knowledge to Action Grant, $100,000/year. We are tackling the problem of pain in children with cancer by developing and evaluating a social media campaign called “Making Cancer Less Painful For Kids” for parents of children with cancer. This work will be done in partnership with the Cancer Knowledge Network (CKN), an online forum for those living with cancer and their caregivers. The campaign will include 12 months of blogs, videos, Twitter chats, and social media images. The campaign will be based on published literature and supported by various childhood cancer user groups. The information will be shared over CKN in a way that is accessible to parents. We will study the reach of the campaign and its impact on parent knowledge and behaviour about pain. For more information on our #KidsCancerPain campaign click here. Chambers, C.T., McMurtry, C.M., MacDonald, N., Barwick, M., Taddio, A., Birnie, K., & Boerner, K. (January 2016–January 2017). Sharing Evidence-Based Knowledge about Vaccination Pain Management with Parents via a Parenting Magazine. Nova Scotia Health Research Foundation, Knowledge Sharing Support Award, $10,000. Poorly managed pain in children is a serious health problem resulting in unnecessary suffering and long-term negative effects. Vaccinations are the most common painful medical procedures for children, with as many as 20 immunizations recommended before age 5. We are part of the cross-Canada multidisciplinary “Help ELiminate Pain in Kids & Adults” team. The team is led by Dr. Anna Taddio (University of Toronto) and Dr. Christine Chambers has served as one of the evidence leads (on psychological interventions). The team has reviewed all of the science on the topic of vaccination pain management and created an updated clinical practice guideline that was published in the Canadian Medical Association Journal in August 2015 (our previous guideline was published in 2010). The guideline includes evidence-based recommendations related to procedural interventions (injection techniques), physical interventions (body positions), pharmacologic interventions medications), psychological (distraction, breathing) and process intervention (education and implementation). The guideline is used by several health authorities and organizations and was the basis for a global policy on vaccination pain management put forth by the World Health Organization (WHO). Parents are also an essential knowledge user audience for information about vaccination pain. Our guidelines include recommendations that are simple for parents to implement; however, most parents are unaware of them. Our objective is to create a parent-friendly version of our guideline to reach a large group of parents both in Nova Scotia and across Canada. We will accomplish this goal by working in partnership with Parents Canada, Canada’s longest standing parenting magazine to create a 2 page advertorial that will translate the guideline into parent-friendly content and messaging. A Video Case Study: Sharing Evidence of the Impact of the ‘It Doesn’t Have to Hurt’ Social Media Initiative by Parents. Chambers, C.T., Barwick, M., Stinson, J., & Witteman, H. (January 2016–January 2017). A Video Case Study: Sharing Evidence of the Impact of the ‘It Doesn’t Have toHurt’ Social Media Initiative by Parents. Nova Scotia Health Research Foundation, Knowledge Sharing Support Award, $10,000. Existing knowledge translation work in child pain has primarily targeted health professionals, yet parents can also serve as powerful and consistent pain management advocates for their children. Parents are increasingly using social media for information about child health. Mothers are the most socially engaged online demographic in Canada. We have had excellent success using social media to reach parents with evidence-based information. With prior funding from NSHRF, we developed a brief YouTube video for parents about needle pain that was released online on November 3, 2013, which led to the development of our CIHR-funded Knowledge to Action grant for the “It Doesn’t Have to Hurt” initiative (see above). The overall goal of the initiative is to increase parents’ uptake and application of evidence-based information about children’s pain and this is being evaluated using surveys and interviews with parents. The initiative launched on September 21st, 2015 and the launch event included an animated YouTube video describing how the project came about. The objective of this application is to develop and disseminate a second animated YouTube video, one that will be created at the conclusion of the “It Doesn’t Have to Hurt” initiative to showcase stories and content from parents who were impacted by the initiative. The video will complement quantitative and qualitative data being collected. YMC will be actively involved in providing digital content for the video and in supporting its dissemination. Not only will the video integrate important messages about children’s pain, it will showcase how social media and partnerships can be effective approaches for knowledge mobilization. Chambers, C.T. & Campbell-Yeo, M. (co-PI) with Barwick, M., Chorney, J., Finley, A., Latimer, M., McGrath, P., & Witteman, H. (February 2015–January 2016). “It Doesn’t Have to Hurt”: Extending our Reach to Help Parents of Children Undergoing Painful Procedures, Nova Scotia Health Research Foundation, Knowledge Sharing Support Award, $10,000. Medical procedures are common sources of pain and stress for children and families. . Unfortunately, most parents don’t know what these things are or how to use them to reduce their children’s pain. Many health professionals are also unaware of these pain management strategies, so it is even more important for parents to have direct access to this information so they can best advocate for good pain management for their children. As a result, Our Centre has recently developed the “It Doesn’t Have to Hurt” campaign, the goal of which is to reach parents directly with evidence-based information about children’s pain. With prior funding from NSHRF, Drs. Chambers and Campbell-Yeo and their teams developed two brief YouTube videos for parents. The current grant request is to build on these innovative and successful knowledge sharing initiatives to reach even more parents by: 1) branding, trademarking, and copyrighting “It Doesn’t Have to Hurt”; 2) developing and disseminating a series of social media images; 3) translating our existing videos to different languages to make the videos more accessible and improve pain management not only in Nova Scotia but around the world. Chambers, C.T. & Campbell-Yeo, M. (Co-PI). (September 2015–August 2017). Trainee Support Funds. Nova Scotia Health Research Foundation, Scotia Support Grant, $50,000. The Scotia Support award provides the basis for an interdisciplinary training program that will expose trainees to the full spectrum of health research in the area of childhood pain, from discovery to impact between Drs. Chambers and Campbell-Yeo at the Centre for Pediatric Pain. Our Scotia Support training program will offer outstanding individualized training opportunities in children’s pain that capitalize on our experience in knowledge generation, synthesis, and translation across child development. Funding is critical to support the recruitment and retention of world-class trainees and in meeting their unique training goals. We will offer training opportunities at all levels, and based on an assessment of our trainee needs and recruitment priorities, we will support undergraduate and graduate trainees. Trainees will participate in all aspects of research, including day-to-day tasks of preparing research protocols, conducting projects, participating in our research journal club, attending conferences to present research, and preparing manuscripts for publication and will be actively engaged in a range of knowledge translation activities (e.g., media interviews). Chambers, C.T., Corkum, P., Gruzd, A., Howard, V. & Tougas, M. (September 2015-August 2016). Developing a Method for Studying Online Health Information Sharing over Social Media, Nova Scotia Health Research Foundation, Development/Innovative Grant, $14,707.61. Social media is increasingly being turned to for communication about child health. However, the quality of this shared content is unknown. We will explore the type and quality of information being shared about pediatric pain and pediatric sleep over social media. Our goal is to develop methods that can be used to systematically explore social media to evaluate publically available information about child health. We will explore whether information about pediatric pain and sleep being shared is consistent with existing research evidence, based on published literature. This work will establish how pediatric pain and sleep are being discussed on social media, and highlight important gaps in information that need to be filled to mobilize research evidence about child health to the public. For many studies we ask both the child/youth and the parent to fill out a research participation questionnaire to tell us (anonymously) about your experiences in our Centre. If you have already recently participated in one of our studies and would like to fill out a research participation questionnaire please click on the link below. Please have your study code, which was given to you by our Research Assistant, handy as you will be asked to fill it in on the online survey. If you were not given a study code or have forgotten it please contact us at (902) 470-6906. Please phone us at (902) 470-6906 or email us at itdoesnthavetohurt@iwk.nshealth.ca if you or your child are interested in learning more about any of our research studies! Also check back frequently as this page will be updated with information about any new ongoing projects.